There is a certain mystique to legendary fights of yesteryear, a nostalgia that speaks of a time when ‘The Sweet Science’ was larger than life and ruled supreme. There are but a few wise old heads left who were lucky enough to witness some of the greatest fights the sport has ever known, but with no film to view many of them, the rest of us are left to ponder just how great they really were. 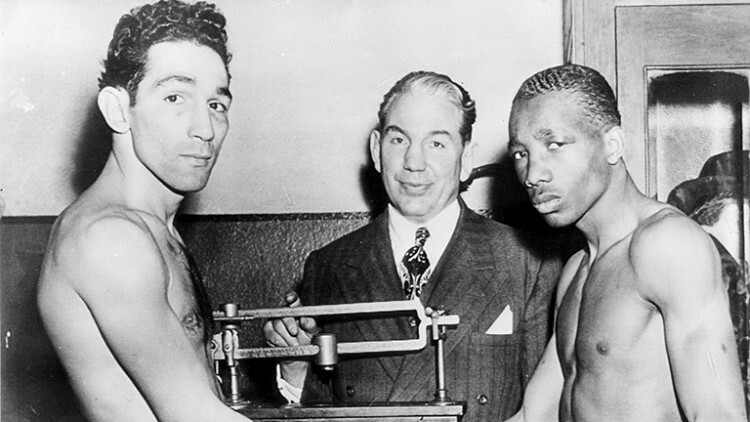 The second meeting between Hartford’s Willie Pep and Harlem’s Sandy Saddler, a bout awarded Ring Magazine’s Fight of the Year award for 1949, is a perfect example of such a match. For most of us, all that is left are the stories of the fight’s immensity, stories told through newspaper men who were on hand to witness it, the words weaving a story of the skill, bravery and guile on display. Pep came to pre-eminence in 1942 when he outpointed fellow Hall of Fame inductee ‘Chalky’ Wright at Madison Square Garden in New York. He would be 62-0 before his first professional loss, a non-title decision he dropped to world lightweight champion, Sammy Angott. The loss meant little in the featherweight division however, as Pep still ruled supreme and he would go unbeaten in 72 straight fights before running into the heavy hands of Saddler. Superlatives can’t do justice to Pep’s reign over the division but the shocking way in which Saddler had taken his crown resulted in few believing Pep had what it took to get the title back. 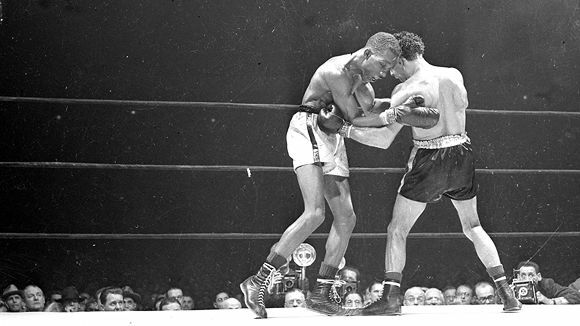 Sandy Saddler took Pep’s title in a four round knockout in ’48. Saddler’s run to the title was one that came by way of brute force. 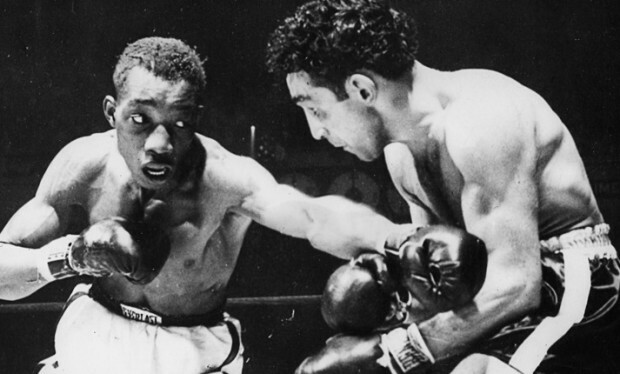 The lanky Harlem native owned one of the sport’s biggest punches and he had dispatched many a featherweight and lightweight with his power before finally getting a shot at the featherweight crown. The second meeting between the two men was scheduled for February 11th, 1949, the rematch only occurring due to a clause in the contract between Pep and the Twentieth Century Sporting Company. Promoter Harry Markson held little hope of the return bout being a success. A New York Times report spoke of his pleasant surprise when tickets became a must-have for boxing fans. The second meeting between the two featherweight stars wasn’t expected to be the success it was. 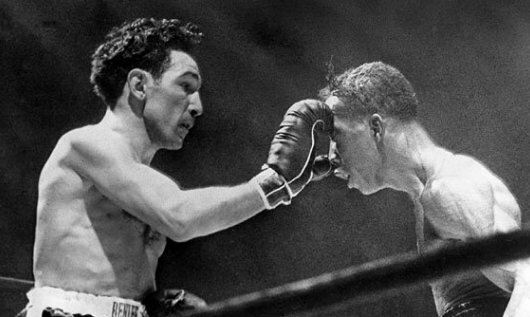 Whether it was hope, respect, or a genuine belief that Willie Pep could in fact win his title back, it seemed as if the people had spoken: this was to be a fight of major importance. 19,097 people crammed into Madison Square Garden on the evening of February 11th, 1949. 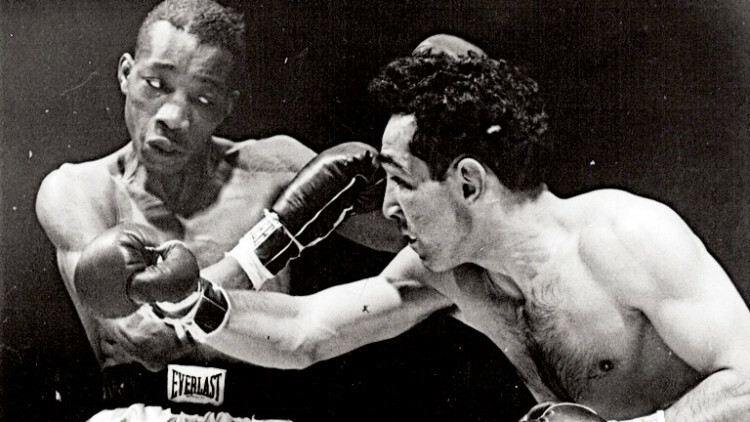 The young lion from Harlem had devoured his older adversary just over three months prior and the crowd was on hand to see whether or not the once-great Pep was up to the task of gaining his title back from such a ferocious opponent. A capacity crowd was on hand to witness one of boxing’s greatest bouts. 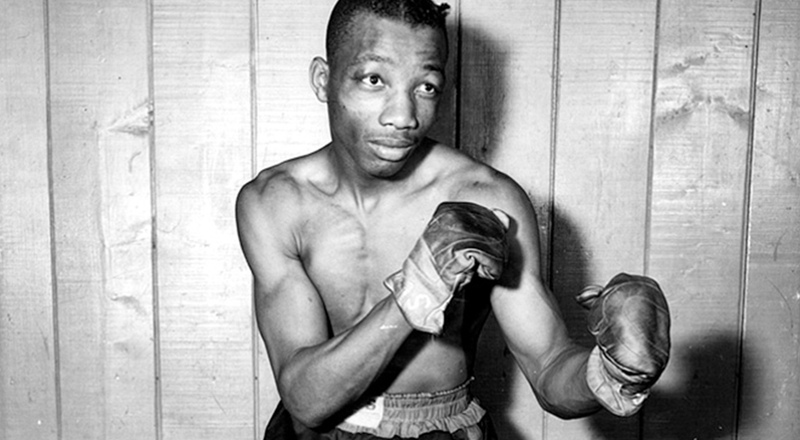 Saddler marched forward relentlessly, in spite of Pep’s jabs, but the Hartford slickster kept his heavy-hitting rival off him by way of his counter-punching prowess, as described by The Chicago Tribune: “Almost always Saddler was moving forward, measuring Willie with unblinking eyes, but Pep was too much for him with his counter-punching.” But counter-punching wasn’t Pep’s only strategy for keeping Saddler at bay. He utilized some ‘questionable tactics’ throughout the fight and was warned by the referee for wrestling in the first round and heeling Saddler in the face in the third round. Pep heels Sandy to keep him at bay. But Pep couldn’t hold back forever the waves of destruction that Saddler threw at him and in the fourth the champion began to dent the defenses of the challenger. Sandy landed savage rips to the body and grazed Pep’s face numerous times, always just a few inches away from landing a blow that undoubtedly would have ended the contest, such was the dynamite power of Saddler’s fists. Sandy landed a hard left in the fifth, opening a cut on Pep’s right cheek but the gash, which bled throughout the rest of the fight, did little to stop Pep from dominating his opponent. He landed all manner of punches over the next six rounds, attacking from every conceivable angle and displaying his supreme footwork, all the while avoiding the aggressive attempts from his adversary to land a knockout blow. Pep displayed amazing skills and ring generalship. 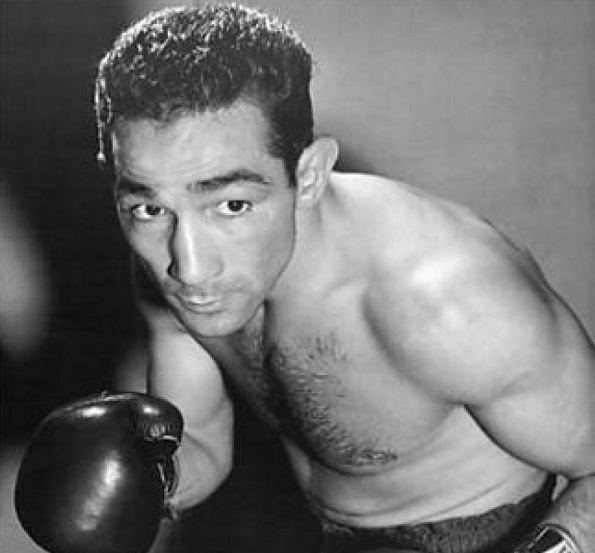 Willie Pep had won back the featherweight championship of the world, becoming the first man to regain the title at 126 pounds since George Dixon back in 1898. But even more significantly, he had done it in spectacular fashion. All three scorecards were in favour of Pep by margins of five, six and seven points. The victory, and the way in which Pep bucked the odds and schooled such a capable and dangerous fighter, only solidified his place as one of the best boxers, pound-for-pound, of all-time.